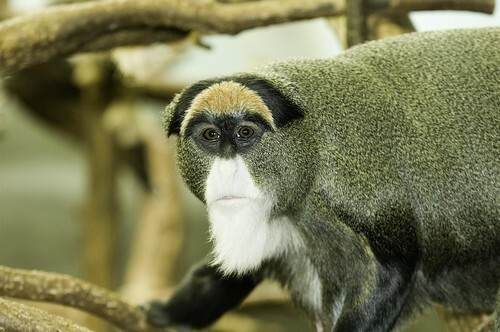 De Brazza's monkeys are notable for their distinctive white facial hair, which resembles a beard. The species has gray fur, with a white belly and orange crest on the forehead. 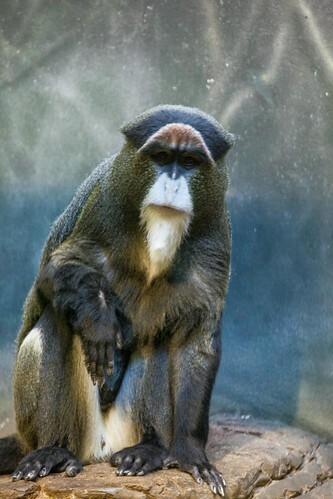 De Brazza's monkeys are a sexually dimorphic species, meaning that males and females differ in appearance: males can weigh as much as 15 pounds, while females typically weigh 9 pounds. 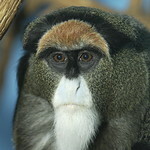 De Brazza's monkeys are found in Central Africa, from Cameroon and Angola to Ethiopia. De Brazza's monkeys are common throughout their range, although they face potential threats from habitat loss and the illegal pet trade. 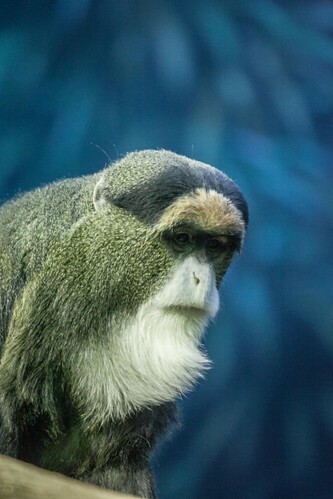 Lincoln Park Zoo participates in the Guenon Species Survival Plan®, a shared management effort by zoos throughout the Association of Zoos and Aquariums. 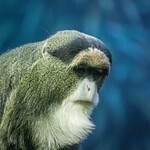 An arboreal species, De Brazza's monkeys favor wetland forests. They typically live within 1 mile of water. 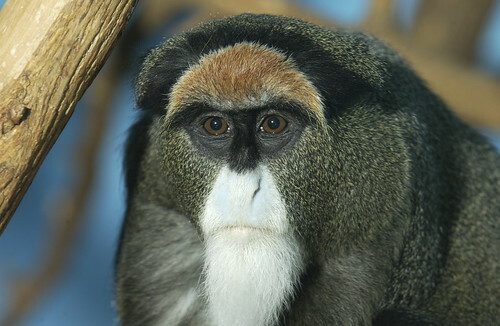 Fruit makes up the majority of De Brazza's monkey's diets, although they also eat leaves and insects. 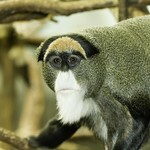 The primates primarily occupy the thick canopy of their forest home, although they can also swim, if required. 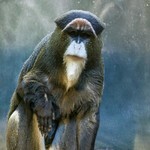 De Brazza's monkeys reach maturity at 5-6 years of age. After maturity, females stay with the group they were born into while males disperse into new territory. Infants are born after a gestation period of 5-6 months, and they are dependent on their mothers for care for at least a year.